(Bloomberg) -- For officials in Beijing looking for a Taiwanese presidential candidate who improves the island’s fraught ties with the mainland, Han Kuo-yu is saying all the right things. The question is whether he runs. The new mayor of the southern city of Kaohsiung last month described Taiwan and China as partners in an “arranged marriage” who had fallen “madly in love.” He’s also said that peace talks were “inevitable” between the democratically run Taiwan and the Communist Party-ruled mainland. 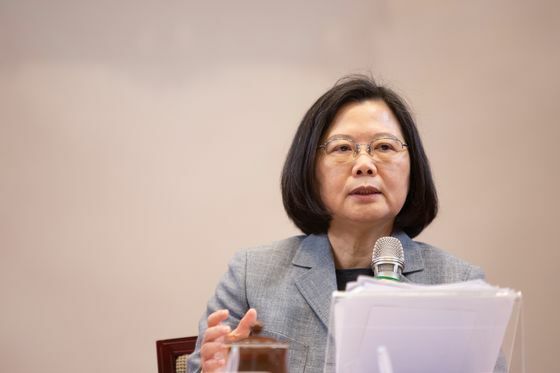 Such blunt talk contrasts with Taiwan’s current president, Tsai Ing-wen, a cautious critic of China who’s bracing for a tough re-election fight after bruising policy battles and an isolation campaign by Beijing. Han’s shock defeat in November of a candidate from Tsai’s Democratic Progressive Party in the ruling bloc’s stronghold catapulted him to the top of the list of possible presidential hopefuls from the China-friendly Kuomintang. While Han has sidestepped questions about whether he’ll run -- telling Hong Kong’s Sing Tao Daily “let’s see in the future” -- his travel schedule suggests someone with bigger ambitions. On Friday, he begins a week-long trip to Hong Kong, Macau and the mainland cities of Shenzhen and Xiamen. Next month, he’ll visit the U.S.
Han’s success winning over younger voters who usually identify with the pro-independence DPP has built buzz among KMT supporters and others who want closer China ties. But his rough-and-tumble style, including scuffling with other politicians and accusations of sexist remarks, also presents a potential liability in a high-profile campaign. The KMT is anxious for a win after losing both the presidency and the parliament majority in 2016 -- derailing its push for closer economic ties with Beijing. 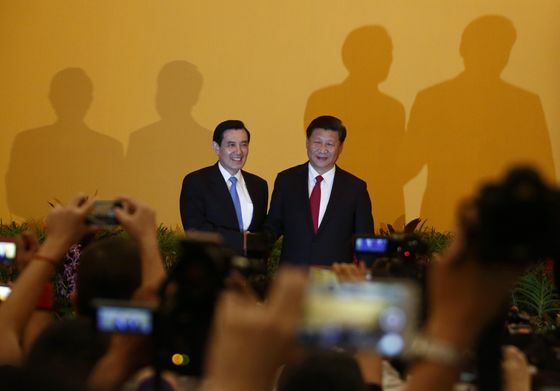 Chinese President Xi Jinping, who held a historic meeting with Taiwanese counterpart Ma Ying-jeou weeks before the vote, has cut off communications with Tsai’s government and led a campaign isolate her island diplomatically. Tsai now looks vulnerable, receiving the support of less than 20 percent in recent polls, as she grapples with both voters concerned about deteriorating ties with China and those who want a cleaner break. Earlier this week, Tsai’s former premier, independence advocate Lai Ching-te, announced that he would challenge her for the DPP nomination next month. 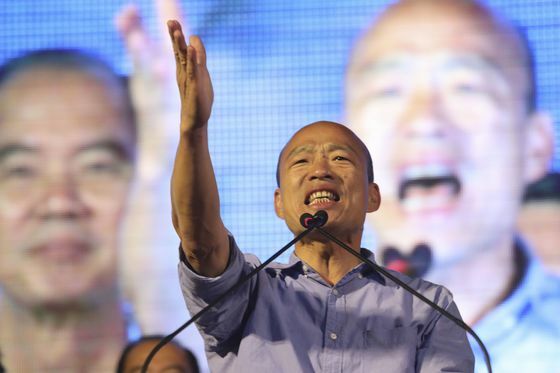 Han would join a crowded field of potential KMT contenders including Eric Chu, the former mayor of New Taipei City, who lost the 2016 election to Tsai, and former legislative speaker Wang Jin-pyng. Still, a survey released this week by broadcaster TVBS found Han with 38 percent support in a three-way race with Taipei Mayor Ko Wen-je (28 percent) and Tsai (18 percent). Others observing from Beijing argue Han’s candidacy could lead to a breakthrough between the long-time rivals. He supports the idea both sides are part of “one-China” -- a negotiating framework Tsai has refused to endorse. Kaohsiung city spokeswoman Anne Wang said Thursday that Han was focused on promoting the local economy and “will not think about other plans for the time being.” This week’s trip was intended to promote economic and cultural exchanges and not touch on politics, she said. The trip will test Han’s ability to navigate sticky issues on the mainland and in the fractious former British colony of Hong Kong. His past forays into the public eye have been rocky. When he was a legislator in 1993, Han punched future DPP President Chen Shui-bian, putting him in the hospital. As president of the Taipei Agricultural Products Marketing Co. in 2016, he dared a city councilor to swallow a hockey puck during a dispute. During his run for mayor, he told a gathering of female supporters that anyone who created 1,000 jobs in Kaohsiung would get a kiss. Earlier this month, he was forced to apologize after dismissing the idea of attracting white-collar workers from the Philippines since it was hard to believe maids could become English teachers. Han successfully cast himself as the “CEO mayor” during the campaign, propelled in part by a social media campaign led by his Canadian-educated daughter, Coco Han. His focus on economics on platforms such as YouTube and Facebook helped garner robust support from younger voters looking for higher wages.